As painters, we’ve all made these mistakes. My goal is to convince you to change just 1 or 2 of these habits and your business will drastically improve. First Mistake: Focusing on painting instead of growing your business. 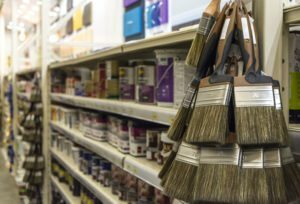 If you are busy painting all day, when do you have time to market or grow your business? You DON’T have time. That’s why it’s important to get off the job site and put your time where it matters; selling & marketing your business. When you paint all day, you’re worth roughly $15-20 per hour. Instead, pay a painter $15-20 an hour to replace yourself. Spending your time securing more jobs is worth exponentially more. Let’s say instead of painting all day, you went out and did 5 new bids and sold 3 of them. Your value will be so much higher from the profits you’ll make on those 3 new jobs. Or, instead of painting all day you hired a door-to-door canvasser who got you 15 new leads that day. Second Mistake: Not spending the time to find good people. It’s really important to spend time finding the right people, like the old adage; ‘Hire slow, fire fast.’ Then you have to manage your crews well once you find them. This means paying people on time, setting good expectations and keeping steady workflow. If you do what you say and treat people respectfully, people will work with you forever. Third Mistake: Going to the paint store multiple times. One day in the early stages of my business, I went to the paint store 7 times. SEVEN times for god’s sake. I literally spent most of my day at the paint store. And if you’ve ever been to a paint store you know how slow the service can be. By the second year of my business, I had completely delegated paint-store visits. I started having my crew foreman go and pick up anything they needed; paint, materials etc. Fourth Mistake: Not properly tracking my marketing efforts. Once I found a couple good crews and started freeing up my time, I started trying different marketing techniques. I basically did everything listed here. My mistake was not tracking the return of each one. It turned out that a couple marketing methods worked WAY better than others. If I had properly tracked this, I would have put ALL my budget into the ones that worked, and dropped the ones that didn’t. In this example I would invest more money into my lawn signs and lead provider. It looks like my yellow pages ad is not returning well. Fifth Mistake: Doing small jobs just for the money. I swear, the small jobs cause ALL the problems. They are usually the jobs that you say to yourself, “Whatever, it’s a quick $300 and it’s pretty easy”. But these are the jobs that can cause all the headaches and eat up all your time. Sometimes customers who have the smallest job (and smallest budget) are the pickiest. I once spent a whole week on 2 interior bedrooms because the client didn’t like the color or the finish once it dried. Spend your time acquiring large profitable jobs. For example, I could have finished 2 full exteriors in that week and made 15x as much money. Sixth Mistake: Charging too little. 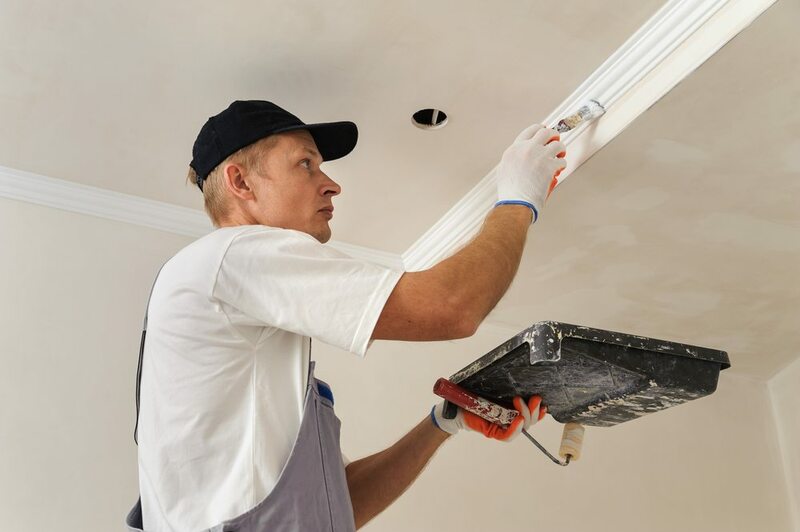 Many painting contractors feel pressure to lower their price in order to win the job. I used to compete with the under cutters myself. What I discovered is that homeowners usually DON’T pick the low bid. In fact, they are often scared by the low bid. People obviously want to pay as little money as possible, but they also don’t want a hack-job. Instead of trying to undercut my profits away, I got better at selling my value and quality. Sometimes I was TWICE as expensive as other bids they received and I still won the job because they trusted me and my quality. 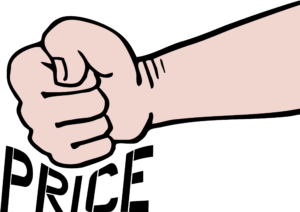 Respect your price (and yourself) and charge what’s fair. Charge something that delivers a quality job to the homeowner, but also leaves you something for your effort. Seventh Mistake: Not scheduling jobs in advance. The first two years of my painting business, I was living paycheck to paycheck. I would finish a job, get the check, pay all my bills and then hopefully start the next job as soon as possible. This is not a healthy, stress-free way to live. Sometimes I would have to delay payments to my people because I had no money. This puts your employees in a difficult position and creates financial desperation. Soon you start low-balling bids and doing less profitable jobs just to keep your crews busy. To avoid this, schedule jobs in advance. Some painting contractors think a job is not valid because the client wants it done 2 months later. In cases like this, I would schedule the job no matter what, even if it’s 6 months out. You take a deposit (mine was 20%) and you can hold whatever date for the customer. I hope this article has been helpful, and thanks for reading!